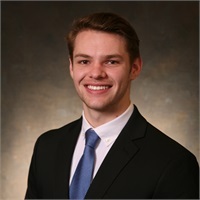 Ben has been with Mersberger Financial Group since September of 2018 coming to the firm with experience in operations management as well as a degree in Finance from the University of Wisconsin Whitewater. Ben focuses on creating financial plans and advisor assistance as well as investment research and analysis. Ben completed his SIE exam and is currently studying for his Series 7 and Series 66 registrations. He will also be pursuing Life, Health and Disability Insurance license. Ben lives in Shorewood with his girlfriend Gina. In addition to spending time with family, Ben is an avid reader that enjoys cooking, working out and many outdoor activities such as golfing and hiking.